Club Run – Meeting at BP Berro 10.00am leaving at 10.30am cruising to Tea Gardens for lunch at the pub over the road from the waterways. Numbers required by April meeting for booking. We will have around 40 local business stalls here inclusive of some Hot Food stalls. 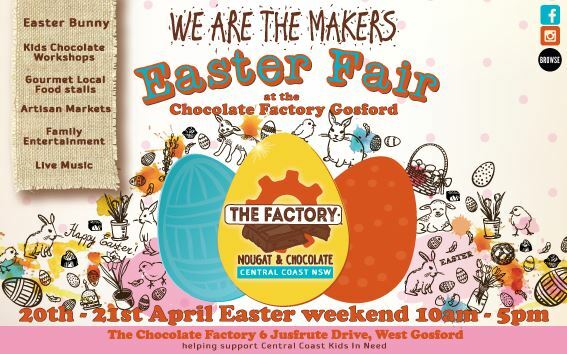 As well as amusements for the kids, Easter bunny and activities and of course showcasing our Chocolate Factory Gosford. 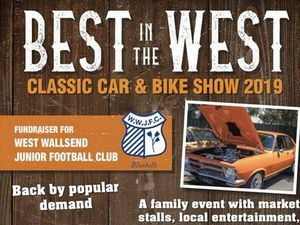 What we would be after would be say 6 classic cars at our Event which would be a great attraction for families and car enthusiasts. If you could put the feelers out there on people who would be interested to showcase their pride and joy over the 2 days that would be great. The Factory is the home of renown Australian confectionery producers, Nougat Limar, Bon Bon Fine Chocolate and The Sydney Marshmallow Co. We invite you to explore our factory where these delicious treats are created for all to enjoy. Make your way through the big wooden doors where you will be greeted with hundreds of amazing, locally made, exclusive products for all tastes and ages. Explore an immersive world of chocolate, nougat and much, much more. Have a sneak peak of your beloved treats coming to life through the porthole windows, or take part in a guided tour of the factory floor, and learn how our products are made. Afterward, enjoy a delicious cup of signature hot chocolate, and a delightful cake made by our master patissiers, and for the kids, take part in a fun-filled Junior Chocolatiers Workshop. Combined run with the Monaro Club to Geoff Pickards Car & Antique Collection at Clarancetown. Meeting at Maccas in Raymond Terrace near the Williams River Bridge. meet at 9.30am and leave at 10.00am. Lunch at the Clarancetown Hotel after the visit. Every now and then we write to the clubs on our listing to let you know what’s coming up. 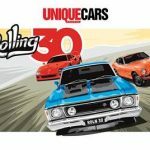 The big news is an event called Rolling 30, which we’ll be running at Sydney Motorsport Park on June 2. It’s a coffee & cars event on steroids. You get the chance to take your favourite toy for a gallop around the track, without the hassle of police, traffic and all the rest of it. It’s a cruise, and definitely not a race, so the whole thing will be safe and relaxed. We reckon it’s a great venue to show off your cars and promote your club (and maybe get an injection of fresh membership), while networking with lots of other like-minded folk. Of course we would love to have your club along, so don’t hesitate to contact me – let’s see how we can help out each other. We’ve gone out of our way to boost a huge number of club events over the years and would love to see some support in return. In the meanwhile, don’t forget we offer free club listings, event listings and we’ll even help you sell your car so you can get on to the next project! To advertise your car for nix, go to tradeuniquecars.com.au. Let’s hope we’ll see you in Sydney on June 2! Please let Janet or Paul know if you are comming so we can cater for all. Fully funded event. Meeting at Maccas Morisset at 9.30am leaving at 10.00am or go straight there.